Pristine brick 4 bedroom and 4 bath house in beautiful Providence Estates! The large master suite has a huge walk in closet, built in shelving, soaking tub with jets, separate shower and dual vanities. A 28 X 15 screened sun porch with tile flooring opens to the spacious and beautifully landscaped yard. Two of the bedrooms are connected by a jack and jill style bathroom. The fourth bedroom has a full in-suite bathroom with a large closet. The foyer has new natural stone flooring and opens to a formal living room and formal dining room. The great room at the center of the house has built-in wooden cabinets and a large gas log fireplace. There is another spacious 'den' with tray ceilings and another gas log fireplace. The kitchen has wood cabinets, white Corian countertops, custom backsplash and tile flooring. 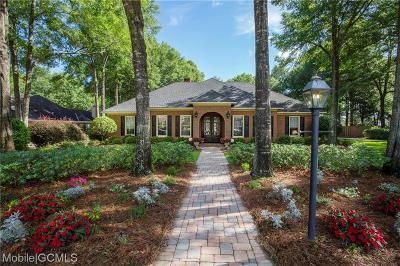 This home features two gas log fireplaces, 10+ foot ceilings, dual HVAC system, central vacuum system and three car garage with new indoor/outdoor carpet and new garage opener hardware. This well-maintained treasure will not last long!